Sanderson, Ruth. Very Good. 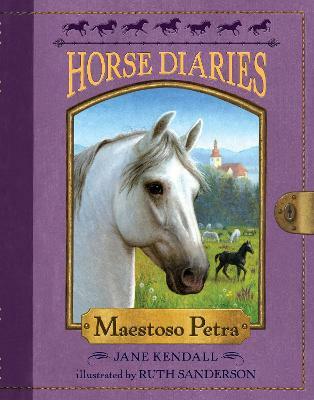 Maestoso Petra (Horse Diaries (Quality)) by Kendall, Jane, 2010-03-09. Trade paperback (US). Glued binding. 139 p. Contains: Illustrations, black & white. Horse Diaries (Quality), 4. Intended for a juvenile audience. Sanderson, Ruth. Good. Maestoso Petra (Horse Diaries (Quality)) by Kendall, Jane, 2010-03-09. Trade paperback (US). Glued binding. 139 p. Contains: Illustrations, black & white. Horse Diaries (Quality), 4. Intended for a juvenile audience. New. 2010. 0th Edition. Paperback......We ship daily from our Bookshop. Sanderson, Ruth. New. Trade paperback (US). Glued binding. 139 p. Contains: Illustrations, black & white. Horse Diaries (Quality), 4. Intended for a juvenile audience.